Do you want to add instant life insurance quotes to your website? Apart from the ease and speed of initial implementation onto your website, maintenance is a non-issue because the following Web Providers assume the responsibility of obtaining COMPULIFE rate updates and newer versions of the internet quote engine. This means that your website is always up to date with the latest rate data and internet quote features. 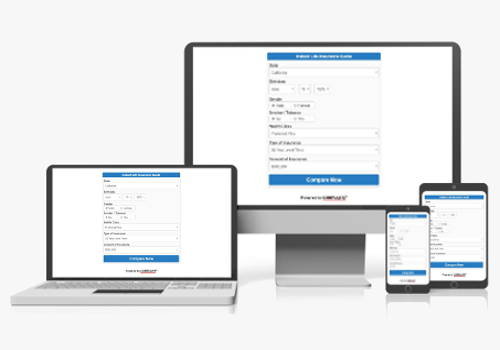 COMPULIFE offers a range of options for your website quoter. You can integrate instant life quotes on your website with the same reliable rate data that is used with our COMPULIFE Quote Software. Click here for complete details. IXN Tech (Insurance Experts Network) brings you a variety of tools to help your insurance business succeed. We offer website design and development, website marketing tools, social media quote plugins, online life insurance quoting with substandard rating, agent login portals, mobile apps, and more. Creating an effective digital marketing strategy can be a tremendous task. Whether your goals include lead generation, agent recruiting, or simply managing a growing business, IXN Tech’s tools are tailored to help you reach your goals. To find out more, visit IXN.tech to speak with one of our insurance experts and start accomplishing your business goals.